Could a swordsman with Haki cut up Buggy? If Buggy can't cut by sword, Buggy would be unstoppable in Wano. Buggy has the Bara Bara no Mi, so would a swordsman using Haki be able to cut him him? 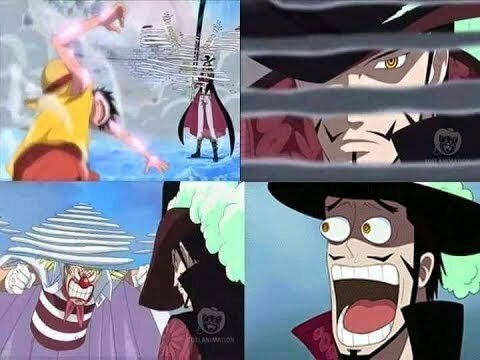 The fruit's major strength, as demonstrated by Buggy, is that the user becomes permanently immune to damage from being cut or pierced, regardless in what manner, be it vertical, horizontal, or otherwise. Instead of being wounded or even killed from such attacks, the user's body simply becomes sliced into pieces. In this state, the user is still alive and can control his sliced up body. They can then manipulate the sliced up pieces to either reattach themselves back together or execute unique attacks. Haki enables physical attacks to connect with Logia users, whose bodies usually prevent the hit. In Buggy's case, even normal attacks do hit him, but the damage is never fatal. It's a gray area until we get a proper confirmation from the author, but since Buggy was unscathed when Mihawk was using his Black Blade (assumption being it always has a layer of Armament Haki on it, even if weaker than his max), it is reasonable to conclude that Armament Haki might not help. That being said, there is also a corresponding list of weaknesses that would easily prevent him from being invincible. The simplest ones being seastone/sea water, immobilizing via a strong Conqueror's Haki attack, and any sort of elemental attack. Wano will be filled with swordsmen, but we have seen hints of a new class of attacks, such as Kin'emon 's use of fire with his sword attacks, and Brook's ice powers. These should deal enough damage to keep Buggy from being OP in Wano. Is Law's Devil Fruit immune against Haki? What exactly is the deal with Black Blades? Is Law stronger than Zoro in sword technique?